This all natural unscented bar brings together the balancing properties of spearmint essential oil and the healing and rejuvenating qualities of eucalyptus essential oil. This spearmint is best described as being softly minty with a slightly fruity scent, and when blended with the eucalyptus, leaves you with a refreshing cooling sensation - a perfect way to engage the senses and embrace the day ahead. This recipe is built upon a foundation of a calming chamomile tea infusion that provides us with natural pathways for our stress and anxiety to wash away. "The garden is the poor man's apothecary." Amazing as always! We love the Eucalyptus Spearmint soap. It's got such an energizing and invigorating scent. 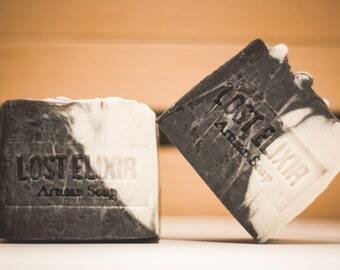 Amazing, long lasting soap. 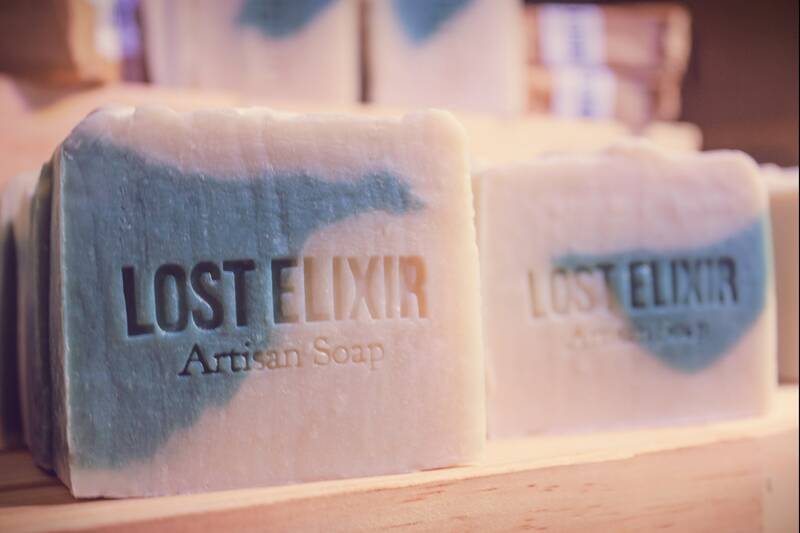 You will always love your purchase from Lost Elixir! I love this soap. It has a nice invigorating scent and lots of nice lather. Package shipped really fast and was well bundled up. Seller is great to work with. I will be back for more. 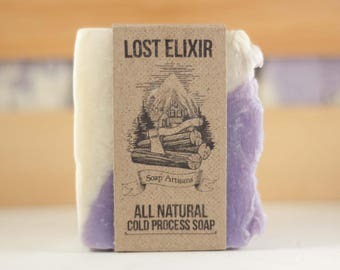 Great soap-intended for my college daughter away from home..I had to keep just one bar for myself!! I actually might use this next to my pillow soon to help ease my horrible congested sinuses! 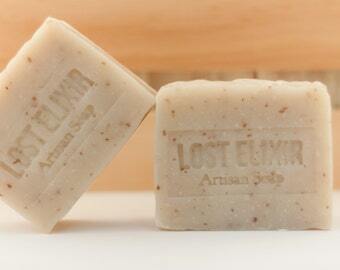 This beautiful heavy bar has a soothing eucalyptus and spearmint smell to it that is just divine..